I can't seem to shake a preoccupation that continues to surface whenever I try and come to some synthesis of literacy. I am dogged by a persistent dichotomy. On the one hand, literacy is a skill to be mastered, which involves the methodological development of the formal characteristics of language and of the written code. On the other hand, literacy is a creative, communicative practice that calls upon the imagination, the intellect and social cognition, which is much less mechanical and much more about craft, application and growing expertise. So ... whilst a learner may master the mechanical features of literacy through practice, revision and integration, the applied aspects of literacy require one to negotiate concepts of context, convention, intention, prior knowledge and (possible) meanings, which are not so formally defined. "The reason computers have no understanding of the sentences they process is not that they lack sufficient neuronal complexity, but that they are not, and cannot be, participants in the culture to which the sentences belong. A sentence does not acquire meaning through the correlation, one to one, of its words with objects in the world; it acquires meaning through the use that is made of it in the communal life of human beings." The following "diagram" tries to broach the dichotomy once again. On the left hand side, there are the formal elements of language and literacy. On the right hand side, there are the functional areas to which language and literacy are put to use. And down the centre are quotes which move from a focus on mastery to a focus on application. Garver (1996) suggests that the shifting of attention between matters of form and matters of function is no simple act. They represent quite different paradigms. Formal theories of meaning seek to explain how a language expresses a sense through an understanding of the language's logical structure. One must have access to the phonetic, syntactic and lexical knowledge to be able to decode sentences and to decipher the pictures expressed by them. This process is an analytical exchange. In a purely formal account of meaning, the individual would only be required to calculate the exact, unambiguous meaning of a proposition from available signs as long as the proposition was logically expressed and all terms were accounted for clearly and directly. Meaning-in-context, on the other hand, is less static and more elusive. The meaning of an utterance requires an understanding of its context, a familiarity with the way the utterance is being exchanged, the intention of the utterance, and the position of the utterance within a 'language game' or 'conversation'. Such a theory of meaning must take into account that the subject is a creative, imaginative agent who extends (or projects) new language practices from prior encounters, and that such meaning is framed by the individual's social and discourse practices. 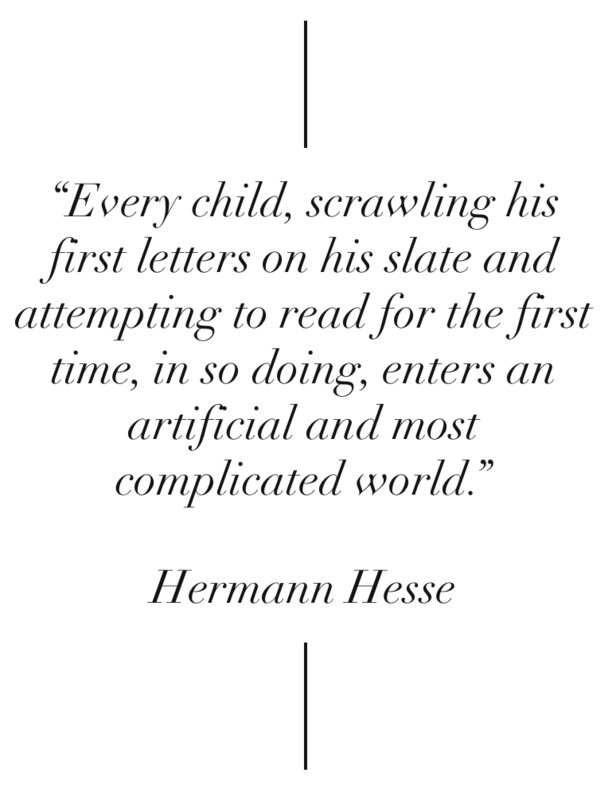 Becoming literate also requires that one incorporates the role of “textuality” into one’s life, such as writing lists, emails, letters, notes, poems, etc. And it is bolstered when one experiences positive encounters of meaning making (and learning) with others (e.g. sharing a favourite book with someone you respect). If I am able to allude to a final theorist here, this dynamic exchange of meaning-making is what Bakhtin (1981) refers to as the dialogic imagination. And it is the dialogic imagination that propels the text (or the logic of a text) forward. In other words, it is an explicit or implicit awareness of the underlying dialogue and associations - made up of questions, expectations, motifs, and conventions - that provide the rationale for the shape and significance of a text. Even as a text struggles to be unique, it exists within the frame of prior conversations and experiences. The more familiar one is with certain activities and conversations - or the text's semiotic domain/context - the deeper one will engage with and comprehend the text (Gee, 2003). If this is done in language that is accessible to the learner, then the possibilities for deep learning are extended even further. In this case, the lower order skills of word/sentence recognition are processed more deeply within the higher order skills of verbal reasoning, prior knowledge and extra-rationale interpretation. What - then - is the point of this long-winded musing? In one sense, it is the continuation of a long-running discussion of the importance of balancing code-based and meaning-based practice. Those who are familiar with this site will see how this discussion features regularly. On another hand, I would like to return to the statement quoted in the title "the pupil must want to go on alone in taking language to the world." In other words, effective teaching builds skills AND provides rich, motivating opportunities to use these skills in committed acts of communication. This adds something even more elusive to the mix: as teachers, we must inspire learners to read, write, speak, listen, learn and express. Bakhtin, M. (1981). The Dialogic Imagination. Austin: University of Texas Press. Garver, N. (1996). Philosophy as grammar. In H. Sluga & D. Stern (Eds. ), The Cambridge companion to Wittgenstein (pp. 139 – 170). Cambridge: Cambridge University Press. Rhees, R. (2006). Wittgenstein and the possibility of discourse (2nd ed.). Oxford, UK: Blackwell Publishing. In a recent entry, I reviewed a book that drew a distinction between a formal (or structural) analysis of language and an analysis that sought to take into account meaning-in-context. I would like to extend that discussion by presenting an integration of the two analytical perspectives into a single (metaphorical) model. The model seeks to account for the apparent structural unity of language with the vast diversity (and - at times - contradictory) meanings expressed through language. Earlier, I pictured this relationship as a many-headed hydra - the beast with one body and many devious heads. Each head of the beast represented a separate semiotic domain. That metaphorical representation soon fell by the wayside and, presently, I have settled on a flower, a more organic figuration (shown in the journal entry). "Formal theories of meaning seek to explain how a proposition expresses a sense through an understanding of the proposition's logical structure. One must have access to the phonetic, syntactic and lexical knowledge to be able to decode the sentence and to decipher the picture expressed within the sentence. This process is quite a static exchange. In a purely formal account of meaning, the individual would only be required to calculate the exact, unambiguous meaning of a proposition as long as the proposition was logically expressed and all terms were accounted for clearly and directly. "Meaning-in-context, on the other hand, is less static and more elusive. The meaning of an utterance requires an understanding of its context, a familiarity with the way the utterance is being exchanged, the intention of the utterance, and the position of the utterance within a 'language game' or 'conversation'. Such a theory of meaning must take into account that the subject is a creative, imaginative agent who extends (or projects) new language practices from prior encounters, and that such meaning is framed by the individual's social and discourse practices." I must admit that Chapters 2 - 5 of this book are a bit hard going for someone who is not immersed in the philosophical debates around language and meaning. That might sound like an odd way to begin a book review/recommendation. That said, Schneider's early sections set up a suitable platform to engage in a compelling argument fom Chapters 6 - 13. At its core, this book asks two simple questions, "can we have a suitable theory of meaning? and, can Wittgenstein's later philosophy contribute to such a theory?" The two are barriers to a comprehensive theory of meaning are as follows.